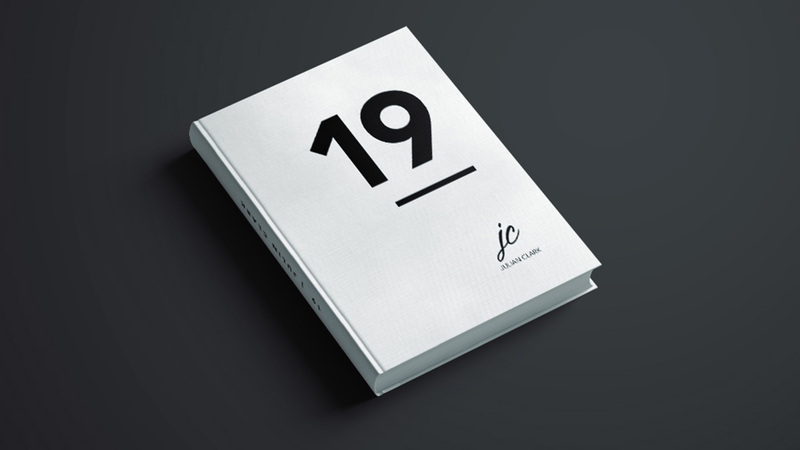 After a casual conversation with a friend about being a leader, 19 is the book where I am sharing the leadership lessons I have learned over 25+ years as a leader to my younger 19 year old self. Why 19? That was when I got given my first leadership opportunity. A great couple asked me to take the lead. They saw something in me which I definitely didn’t see in myself. I had a lot to learn. So this is very much my story. I have tried to be as honest as I can while keeping it a practical resource, with reflective questions at the end of each chapter to get the reader thinking about their own leadership journey. Plus some guest authored chapters too. Every pledge is a pre-order so if you would like a copy then I hope you help to make this happen. When successful then the manuscript will be sent to the publishers with the aim of having all completed by May 2017. Thanks for having a look and I will keep you updated along the way. If you choose to support the project then a MASSIVE THANK YOU!! What Might Stop You in 2017? Asking some questions in this period between Christmas and the New Year. Questions of reflection and questions to help us to look ahead. So far there has been one about what we were thankful for and another about what we would do if we knew it would succeed. Today’s is a follow on question to yesterday: what could stop you in 2017? My answers: I am a serial procrastinator, what’s your excuse. I’m working hard at not letting this get in the way of accomplishing some big dreams in 2017. I say maybe and perhaps too often, like I doubt I believe what I am saying or I’m really trying too hard to not hurt anyones feelings, when I need to just be confident in what I’m saying. Fear. Pride. Laziness. Lack of focus. Distractions. Good things. Whatever. All will have their shot at stopping me, I’m sure. But if we knew what we could do would succeed – what is going to stop us? How are you liking the questions? Any thoughts as we head into 2017? This where I have been all day with Kerina, John, Lisa, Glyn and Jean, and another 49 church leaders and their teams. Sharing ideas and having honest conversation about how best to grow the church. It’s exciting to think where Xcel Church can be by 2020. We have our vision and it’s beginning to take shape. As we know God, find freedom and discover our own purpose, together we will then be a part of seeing it complete and making a difference. My head is slightly mashed as we have discussed the current reality and looked at opportunities along with listening to sessions about vision and systems too. I know, that like me, if you call Xcel Church your home that you are ready for the future and growing a large, influential Christ-centred church. Are you ready to make it happen? Chatting with Immy today over coffee and getting excited about the future for Xcel in Bangalore as work on laying out a plan for the next 6 months. As we talked we encouraged ourselves about how the word of God says that ‘a mans makes his plans but God ordains his steps’. Connections with Pastors & leaders in Bangalore. This is important to show other leaders that we are here to work alongside them for the good of the city and not just ourselves. Connections with people. Making friends, and meeting those in Bangalore who are looking for a church. Connections and conversations. Immy wants to meet with some local people to see how we can help practically within the community. A new Xcel Group. This will be starting in a local coffee shop in March and we want to see it grow. The right job. One which gives Immy some flexibility and some cash too. It’s also a great way to meet people. Favour. For Gods lead in all the things we do in Bangalore especially in preparation for the mission trip in August and the official launch of this location. These are exciting times but we recognise that as much as we make our own preparations, God playing His part is way more important. We work like it depends on us and pray like it depends on God. Over the next few days I thought I would share some things I am excited about for 2016, or some things I want to see, experience, be ready for, be focused on. Hope you know what I mean. This is not a to do list, just my thoughts for my year. They won’t necessarily be for you but they may inspire you to think about what you want 2016 to look like. I don’t mind looking back like I did the other day with my leadership observations but the future is where we are heading. I am 46 next year so I need to stop saying ‘I’m going to do’ and actually ‘do’. I want more WOW moments. I know what some WOW moments will be but for most of them, I haven’t got a clue and maybe that’s the point. WOW moments can be planned but are often to be found in those unexpected moments. I think this also includes the times when God does something, a prayer gets answered, an experience that changes you. As well as just seeing some stuff get done in my life. I know 2 WOW moments in 2016. I’m off to Bangalore in February to help with the launch of Xcel Church. Spending time with Immy and the team he is beginning to build, experiencing a different culture, and just getting excited about what God is going to do in people’s lives. That’s definitely a WOW moment. I’m also going to Israel in May, there’s another WOW moment too. What would you want your WOW moment to be in 2016? 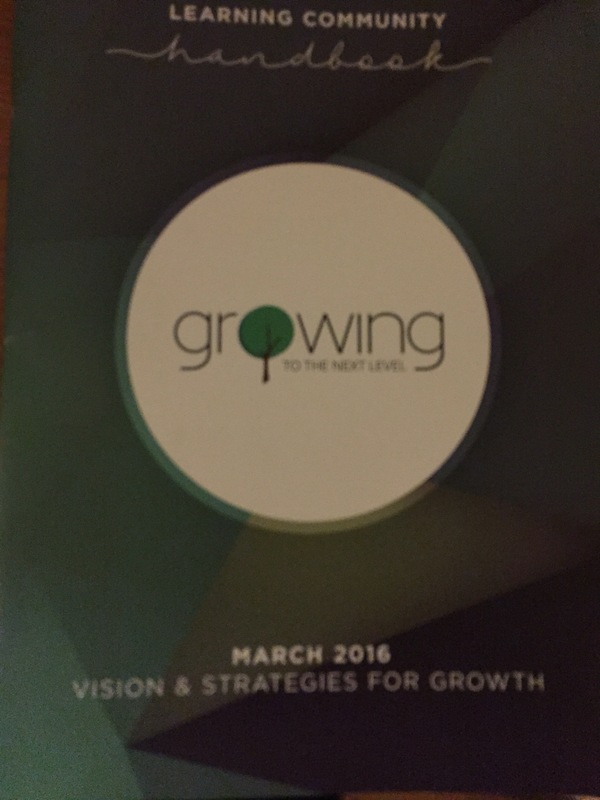 We are gearing up at my church for our annual vision offering next Sunday. The Xcel 2020 vision is one full of faith, all about the future and it’s big enough that requires all of the family to participate in and play their part. Vision is the capacity to see beyond what we can see with our eyes. To be people of vision takes faith. Vision is about painting a picture of the future. What could this part of God’s family look like in 5 years time? One thing is for sure, it’s an exciting time to be part of what God is doing. Xcel 2020 is all about growth, helping more people, connecting as a church family more effectively, training leaders for life and increasing our influence as a resource to the church. Lots to be praying about including new locations, Xcel Bangalore launches in 2016, more Groups, new community based initiatives, leadership development & life courses plus an Xcel album too. This is my church and I love that I am a part of something that has BIG vision and is making room for me and everyone else who calls Xcel home the opportunity to partner with them in seeing it fulfilled. Next Sunday I not only bring my financial seed to sow into the vision but my gifts, talents and whatever else God would have need of to see people reached for Him. Like I wrote yesterday, we only live this life once, so what are we waiting for? Only what we do for Christ will last. My true reward and legacy isn’t going to be how good I was at my job or even how good I was at raising my family. Instead I believe it will be from how I invest in the Kingdom and be about those things that Jesus love ~ His Father, people and His Church. So, let’s do it! Let’s do God proud and honour Him with everything we have. Let’s make the most of our time and make a difference while we are for Him. After all, He has definitely made a difference to all of us. I have written this post out a few times to ensure that I make it read well. Yet I don’t think there is any other way to say this other than in what may seem a fairly blunt manner. Winners quit the right things. So to move on and get past something maybe it’s time to quit so you can start winning again. So, let’s quit IT. Whatever IT may be. I’ve got lazy, again. So I’m going to quit IT. My levels of procrastinating have risen once again and are stopping me from fulfilling the dream of getting a book written so I am committing (again) to 2 things I love to do ~ read and write. 15 minutes of each every day for the next 100 days. I wonder, what do you need to quit? What’s possibly in the way of what you believe God has for your future? Quit complaining. Sometimes, if we are honest, this complaining has gone beyond healthy criticism. It’s just become finger pointing. Perhaps it’s even got personal. Quit being a spectator who just loves to be critical. Much like the football supporters who never plays, yet loves to shout out opinions from the stands on the best way to play the game. Instead, get involved and become a participant in what God is doing. Quit waiting for the perfect time before you will step out in faith. Things will never be ‘perfect’. God makes something out of our willingness and our obedience and that doesn’t rely on perfection but on Him. Quit with the Christian pride and not allowing God to deal with some stuff because you think there’s no need as you’ve been a Christian for so long. Quit missing out on all that God has for you. Quit allowing an offence to get in the way of your relationship with God and with His family. Quit not being in Church. It’s time to come home and reconnect with you family. Quit saying you don’t have enough time. I love this article by Jon Acuff about saying you are too busy. Quit those habits, quit the attitude, quit the apathy, quit the blaming, quit forgetting, quit quitting and complete that project. Whatever IT is that keeps getting in the way make a good decision today and quit IT. Hunt IT down, deal with IT and then get on with living that life which you desires so much to live. Purpose without participation makes the vision just a bunch of great Ideas and exciting could-be’s. It doesn’t matter how amazing the painting of the future looks if we never pick up the brush and fill in the colour. Preference however can lead to procrastination and non-participation. Let’s be those who get involved to make the vision happen. To participate with purpose. To be honest with what we can bring to the table, to contribute as fully as we can, trusting that as we build God’s House He will build our own. Let’s not allow our personal preference get in the way of being a part of seeing the vision come to pass. Participate with purpose and together with God we will see amazing things.